Pardon my French – really. 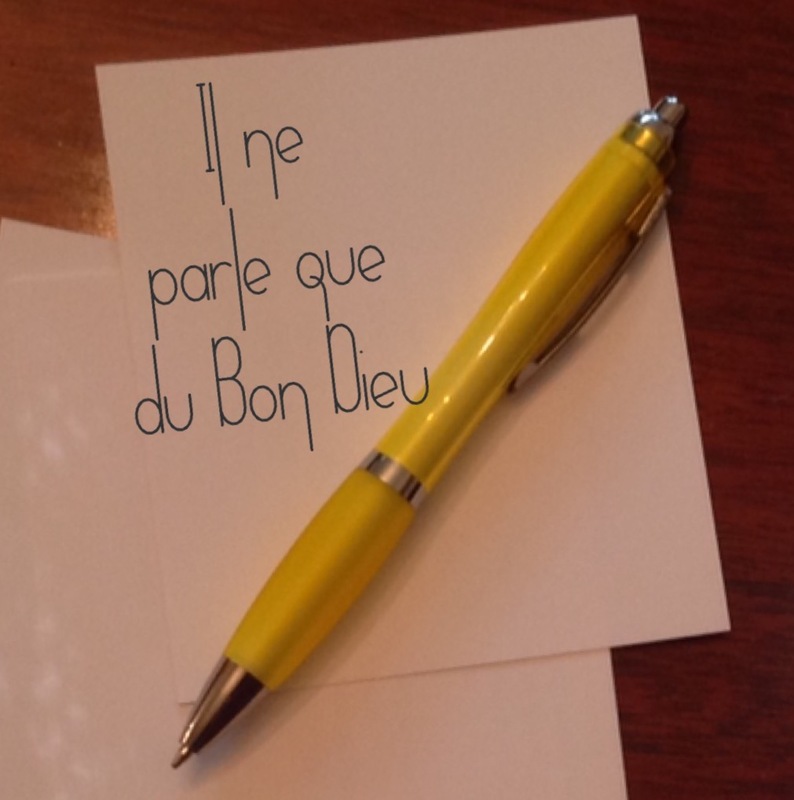 In the original post that went to subscribers by email, I had an error in dropping “ne” but leaving “que.” It should have read that if I get a novel published it will “parle du Bon Dieu” (speak of the good Lord). I’ve made that correction. I love knowing some of the French language, but occasions to use it are too few and far between. And I will be one of the first to read your novel! Sounds intriguing!